DQR Precision Ltd is the sole UK distributor for the Hema GmbH range of covers for the protection of linear motion products. This includes folding concertina bellow covers, roller, apron and ballscrew covers. Visiport Spin Windows offer a clear vision into your machine tool. Laminated safety windows for machine tools from SicurTec GmbH completes our product range. 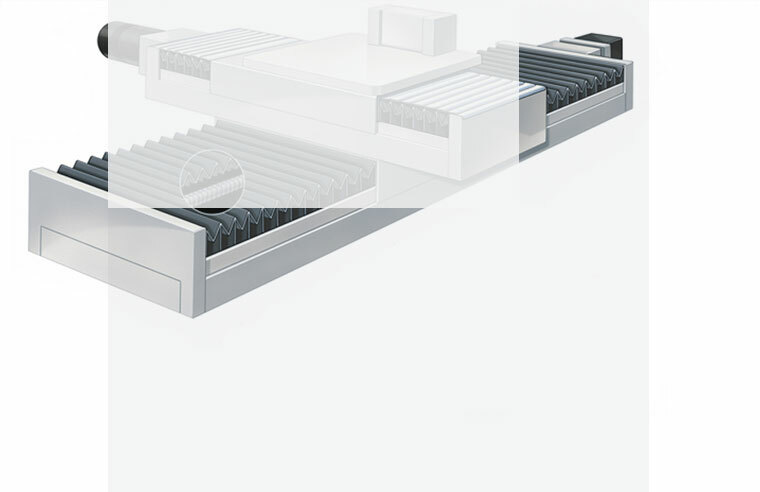 Hema offer a comprehensive range of machine slideway covers for the protection of linear slideways and ballscrews. These include folding concertina bellow covers, folding bellow covers with additional protective lamellas (‘Samurai’ bellows), lift table bellows, spiral spring ballscrew covers, roller blind covers and apron covers. In addition to machine slideway covers, Hema also manufacture pneumatic rotary and linear clamping systems. State of the art production facilities combined with many years of design experience ensure the correct product for your application. Visiport by T2K is a lightweight spin window which can be installed on glass or polycarbonate and is adaptable to numerous machine tool enclosures.